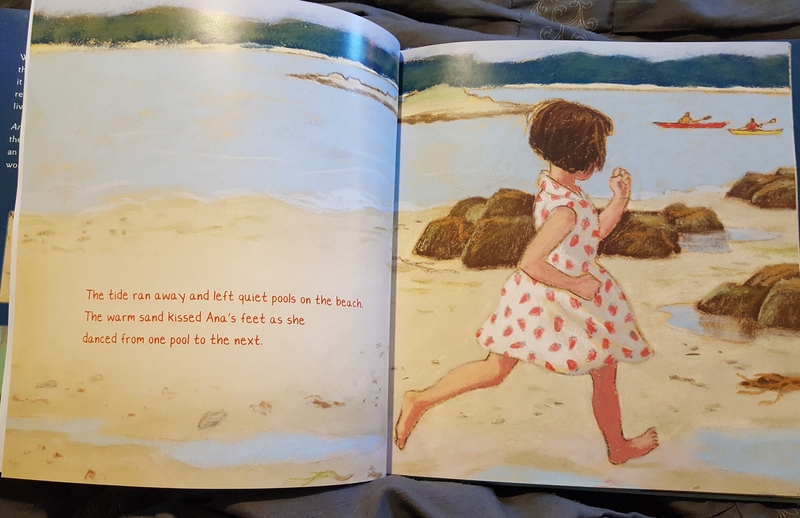 The most celebrated picture book depicting a young girl and her father spending some time together at a rocky shore location in the Pine Tree State was Robert McCloskey’s Caldecott Honor winning One Morning in Maine published way back in 1952. Heck, it is probably the most famous book featuring that human dynamic set in any state, though on the surface the story of loose-toothed Sal, who talks to the fish hawks and the loons en route to her Dad to help dig clams along the shore is slight and scene-specific. Yet what the two-time Caldecott Medal winner does with his slice-of-life drama is to document coming-of-age and familial bonding under the prism of imagination and gently wrought trial and tribulation. Seemingly the most innocuous situation turns out a be a defining moment in adolescent maturation, one anchored in the symbolism of a lost primary tooth, and one of those indelible moments destined for permanent record in the mind’s scrap-book. 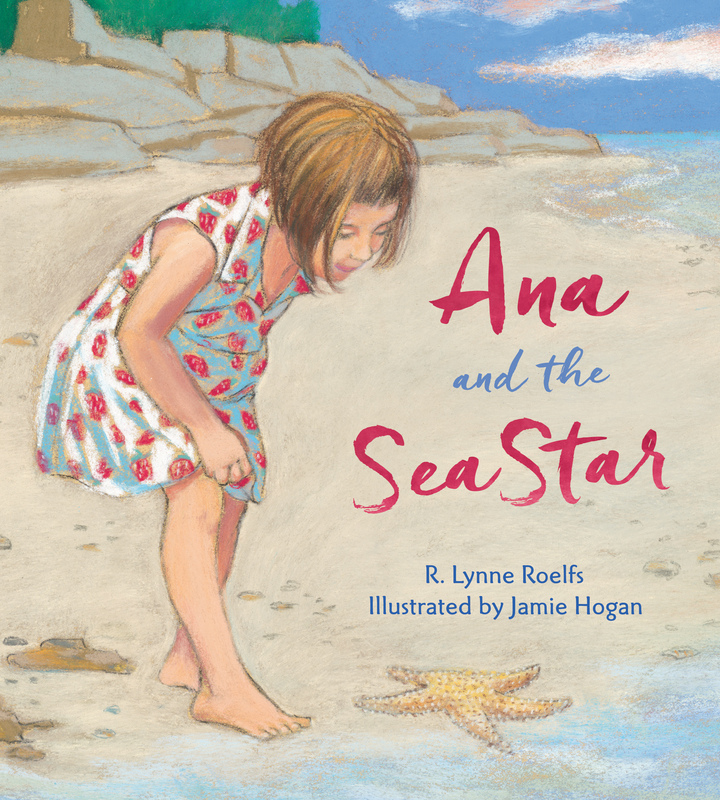 There is an acute literary kinship between McCloskey’s unforgettable sensory immersion and Ana and the Sea Star by R. Lynne Roelfs, a work that similarly places youthful wishes front and center during the most formative years. The tide ran away and left quiet pools on the beach. The warm sand kissed Ana’s feet as she danced from one pool to the next. Some astute adult readers may fondly recall the Newbery Medal winning Strawberry Girl by Lois Lenski while eyeing Ana’s dress, chalky white and dotted with the pinkish-red berries as she dashes abreast of rowers and an island nature sanctuary. She halts to gaze beyond her reflection to behold a starfish, which she excitedly identifies as a “star.” She asks her father if it might have fallen from the sky in her own measure of starstruck innocence, but her father explains this most unusual of sea creatures as an echinoderm that lives under the waves. 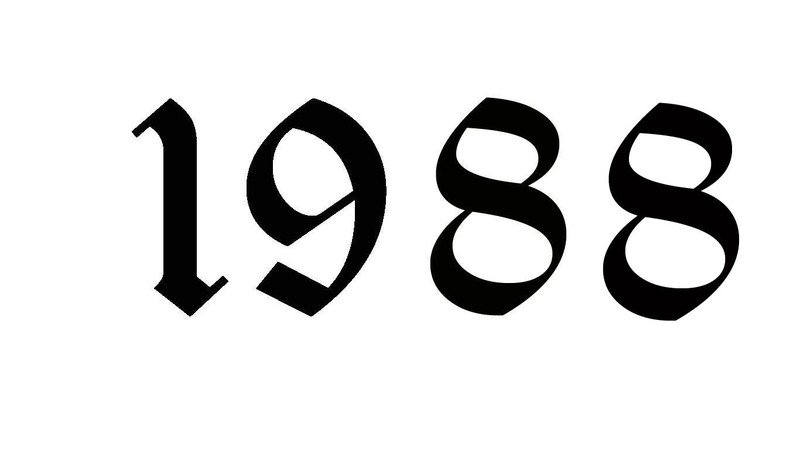 Still, a wish is wholly appropriate. Hogan’s soft watercolor impressionism assisted by aquamarine curves and the unyielding sandy expanse underscores the close-up of Dad’s hand delicately propping the five-sided oceanic marvel, and then inviting his suddenly invigorated charge to stroke its “bumpy arms” gently, before making a wish. As it turns out her impulsive desire is untenable after her father explains that if they were to bring the starfish home with them it would die away from its salt water habitat. is interpreted by Hogan as a stony hamlet along the beach, where tree branches offer hammock-like dips, gulls glide and children play in the sand. Ana, much like an owner of a farm animal in the city realizes she must relinquish her new find if it is to survive. In a somber beach side canvas where Hogan averts a tearful adieu by showing the disappointed young protagonist from the back, Papa deposits the their short-lived possession into shallow water, as Ana says goodbye. The illustrator’s use of grain and reflection compellingly emphasize this somber scene, and the close-up of the creature back in its element is visualized with subdued underwater tints. I still wish I could see the star’s home under the water. Dad resolves to grant this one himself by way of a word picture, and the result is some of Hogan’s most beautiful canvasses. A big and colorful incandescent loggerhead turtle swims by the starfish as the latter swims toward the shore to dig her nest and lay eggs, in what is the first hint of gender in this seemingly androgynous subsurface. The movement continues in the next tapestry, one equally sublime when the falling starfish upending a burrowed stingray, which Roelfs relates “rose up and glided away on silent wings.” The yellow-green illuminating contrast of the sea life as set against the dark ocean projects a mystical aura. Finally, the deftly shifting echinoderm creeps back to the sea grass meadow where seaweed formations bear resemblance to a bamboo groves. 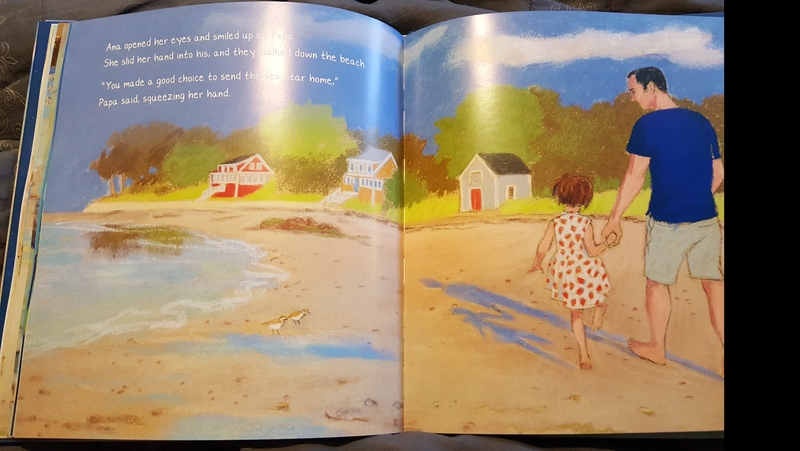 Hogan’s lush beach spread featuring Papa and his girl walking on the beach is one calling for a frame. Minimalist application of green-yellow and strategically placed red and orange join light blue shadows and the trademark apparel boldness and you have an atmospheric shoreline canvas that you can nearly smell and hear. 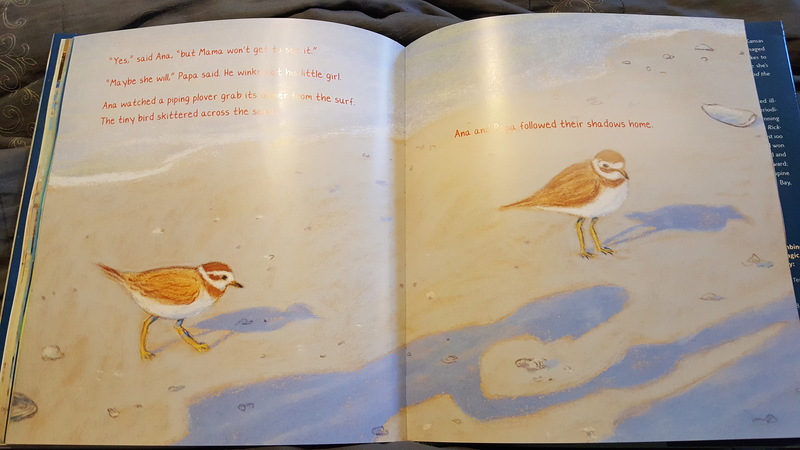 Fans of Hogan’s art and bird lovers in general will surely name the enchanting shadow-laden piping plover spread as one of the book’s most beautiful. The strawberry girls’ passionate embrace with Mom as Dad walks up the sandy path from the water is witnessed by a soaring seagull and lovely red gardenias, and the final scenic tableau when Ana proceeds to paint a word picture for her Mom, having been initiated in that brand of soulful creativity by the family patriarch. 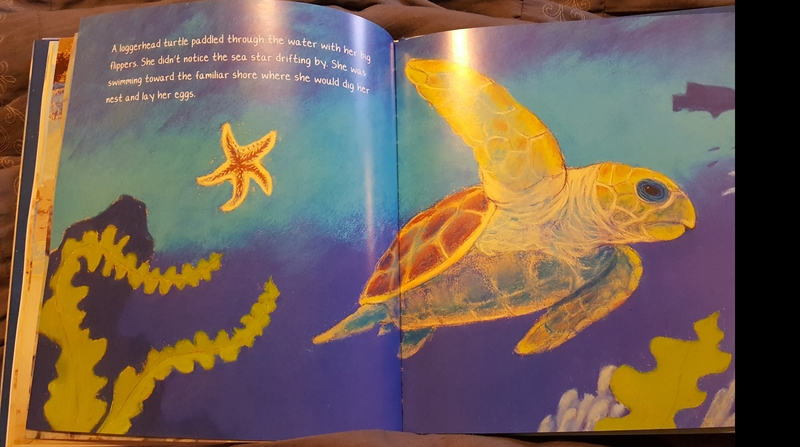 Young readers are treated to an illustrated glossary featuring the sea creatures encountered in the text along with a four or five sentence engaging description of each. Making the connection of human to animal life is a similar showcasing of Ana, defined as a homo sapien, a vertebrate like some of the others, but most notably the youngest species of them all and one with the unique power of imagination. Hogan’s resplendent use of red on the sublime cover depicting the event that sets everything into motion and for the book’s typography alternating with white depending on background artistic compatibility and the title page is a handsome encapsulation of the book’s main players on wonderfully coordinated sand-beige. Similarly the back cover explores the deepest reach of the imagination with aquatic splendor. 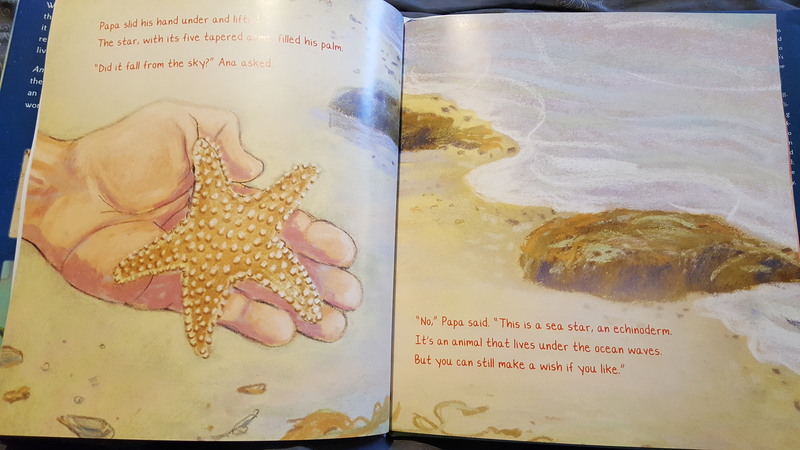 Ana and the Sea Star is a sublime work that not only deserves a wider publishing run, but a very close look from the Caldecott committee for Hogan’s magnificent art. That Roelfs’s life-affirming story, told with poetic grace was the springboard makes the completed work all that more distinguished. 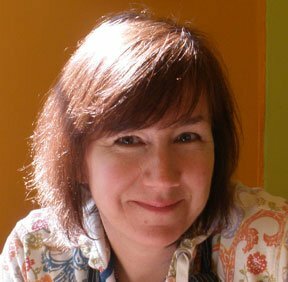 Note: This is the twenty-third entry in the 2017 Caldecott Medal Contender series. The annual venture does not purport to predict what the committee will choose, rather it attempts to gauge what the writer feels should be in the running. In most instances the books that are featured in the series have been touted as contenders in various online round-ups, but for the ones that are not, the inclusions are a humble plea to the committee for consideration. It is anticipated the series will include in the neighborhood of around 30 titles; the order which they are being presented in is arbitrary, as every book in this series is a contender. Some of my top favorites of the lot will be done near the end. 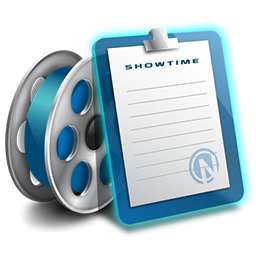 The awards will be announced in mid-February, hence the reviews will continue until around the end of January or through the first week of February. What marvellous optics you offer here, Sam! Beaches are not only beautiful but also mysterious. And the delicate, graceful renditions here rise to the challenge. The mysteries out there could include Ana’s family. Jim, I love the language you use here to frame the book and review (optics, mysterious, delicate, graceful) and the most interesting suggestion that the “mysteries out there could include Ana’s family.” Thank you so very much my friend. In addition to all else Ms. Hogan brings a scenic and infectious allure to her home state. I am speechless at this wonderfully specific and thorough review! Thank you, Sam! I am deeply honored to be in this league of reviews!! My honor and pleasure Jamie! I must say I fell in love with this book on first view. It fully deserves to be with this company! I’ve always given thought to the great titles that for one reason or another may not have been seen by all the respect award givers. It happens in film and with music releases too. I think it is wonderful that you set the record straight Sam as this looks like a gem. Your writing as always is marvelous. It does indeed Frank! I was thrilled to get the opportunity to include such a sublime and deserving book in the series. Thank you exceedingly for the kind words! I am not sure if a point of comparison is being made explicitly, but taken on its own terms the art shown is some of the most beautiful I’ve seen in your series. Congratulations on another terrific review! Thank you so much James! Yes it is indeed an exquisite work. Exquisite. Looking forward to holding this star in my hands. Wendy, I’m sure you will like this lovely work, and coming from you this is a mighty compliment and wonderful stamp of approval! Very impressive book. A thorough and insightful review. Great comparison to McCloskey’s book, an all-time classic as the lead-in. Thank you so much Ricky! 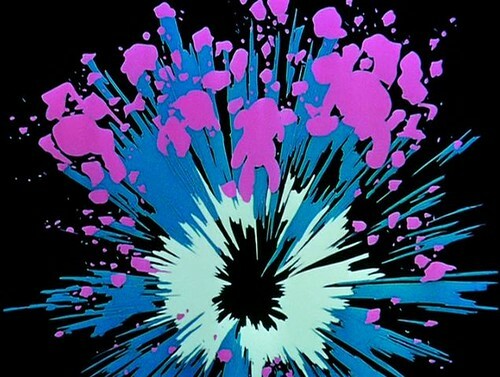 Yes this is a sublime work that serves the widest circulation. What a lovely and well-stated review. Every word of praise for Jamie’s art is thoroughly deserved, if I may say so. I am so honored to have had my words paired with her stunning images. They truly bring the story to life. Lynne, I am so honored at your appearance here. I do of course agree with every word you say about Jamie Hogan’s stunning art, but of course your beautiful and poetic language set the stage. 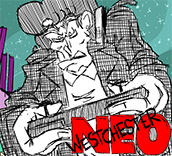 This was a true marriage of writing and illustration where both components are extraordinary. A very special and exhilarating book that fully deserves Caldecott scrutiny. Thank you so much. 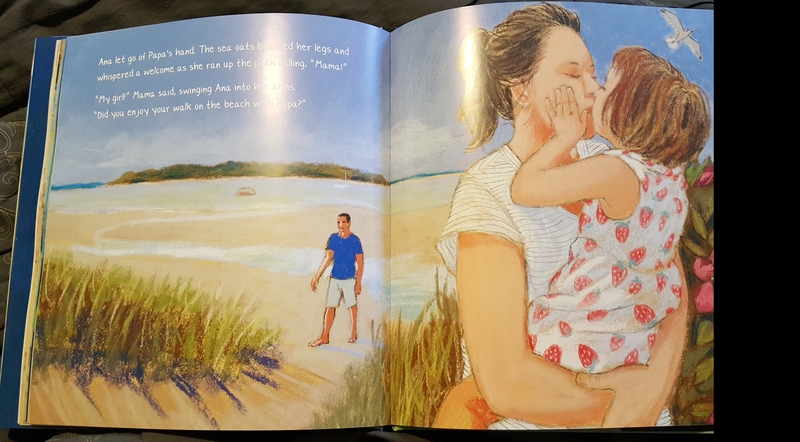 Sam — The incredible illustrations by Jamie Hogan, bring R. Lynne Roelfs’ life-affirming story to eye-popping life. My favorite is the two-page spread after Ana returns the starfish to the sea. The loggerhead turtle (among my favorite creatures on this planet) is intricately and exceptionally detailed. A lush book, ANA AND THE SEA STAR is sure to please everyone. Thank you many times over for your usual astute analysis and boundless energy Laurie! Thrilled to hear too about your sponsorship of the loggerhead turtle, which is indeed painted here magnificently. I am fully in accord with all you say my friend! This is a DIVINE review! yes, yes, and YES! Jamie’s work manages to capture the simple beauty of stewardship of living of this wee planet. on January 9, 2018 at 3:09 pm | Reply John R.
Enchanting. I’d be interested in knowing how this went over with your classes. John, it was a BIG favorite, particularly with the girls, and I am thinking in all likelihood it will do well in our upcoming Mock Caldecott election to be staged in a few weeks in five first grade and 2 second grade classes (about 231 students). We always have a single Caldecott gold medal winner and maybe 11 runners-up. Thank you! A special treat. Wonderful that books like this, diamonds in the rough so to speak are written out so beautifully. And a jewel it is for sure Celeste! Thank you so much! I finally got hold of a copy, and I have to say this lovely work deserves such a terrific, comprehensive review. It would be so thrilled if it surprised. As I would Karen! This is one of those picture books that really speaks to you on a personal level. Exquisite! Thank you!